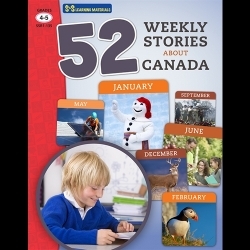 The 52 stories in this book have been designed to familiarize and develop student awareness of Canadian symbols, seasons, birds, wild animals, insects, reptiles, amphibians, sports, famous male and female athletes, famous Canadian animals, and special places to visit in Canada. 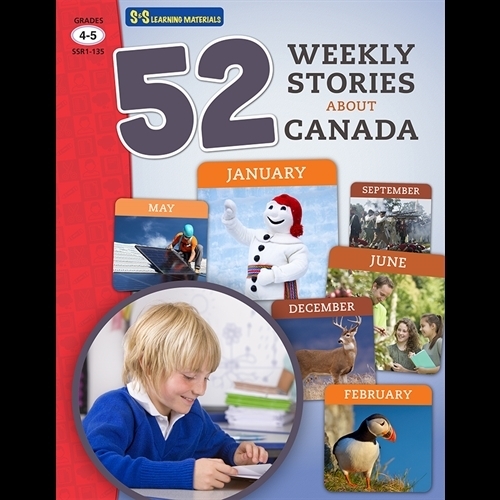 Each topic contains an information story and a follow-up exercise. Paperback.